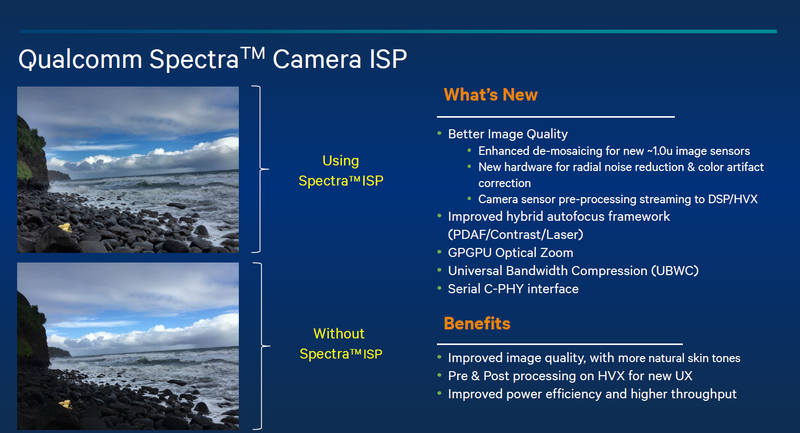 "Second is the brand new Qualcomm Spectra camera ISP. This dual-ISP, our most advanced to date, is designed to provide superior camera image quality and experiences. Qualcomm Spectra supports the latest 14-bit sensors for a wider range of colors and more natural skin tones. 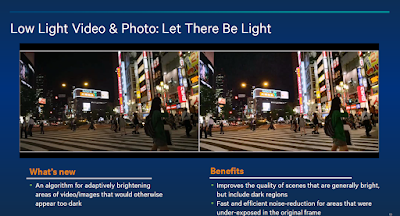 You can also expect better photos through the hybrid autofocus framework and multi-sensor fusion algorithms that support next generation computational photography." EETimes reports that the new ISP is "able to handle up to one 25-megapixel, or two 12-Mpixel sensors that could be used for depth sensing cameras." The new chip samples are expected in the second half of this year. Devices based on Snapdragon 820 are expected to be available in 1H 2016. 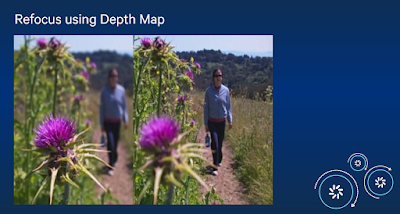 "Depth Sensing Camera" is meaningful on smartphone? 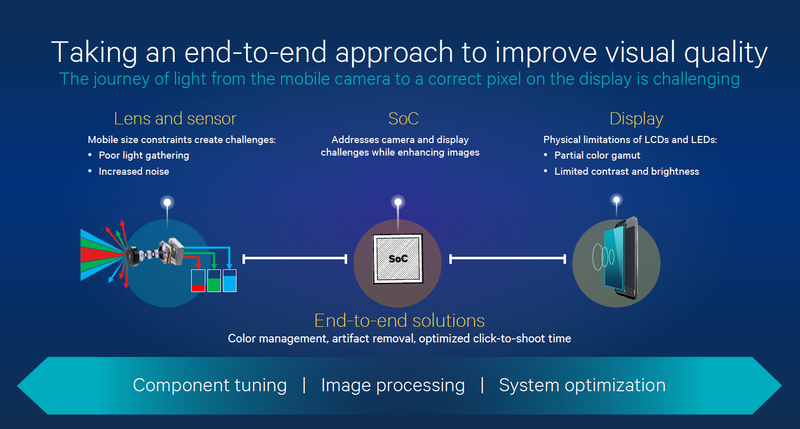 Couple of years ago, some company like LG made a 3D phone integreted dual camera module, I think that has failed because of no effect to market. 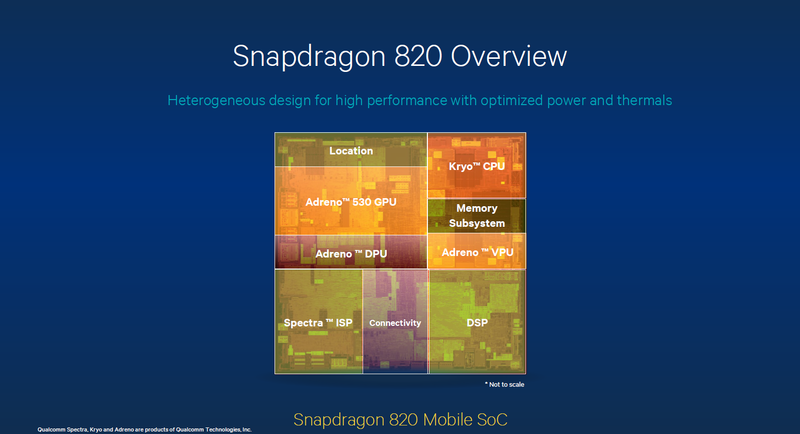 Qualcomm is heading for new markets. I see this Soc also in security and action cameras. Big challenge for the top dog. Once again* we see the INCORRECT assertion that there is more noise for small pixel sensors. The input-referred noise is, in fact, LESS. Of course signal-to-noise ratio is deteriorated, and if you rescale the brightness of the reproduced image, then the noise may look like it has increased. It would be nice if our neighboring ISP community understood the difference between noise and SNR and did not propagate erroneous myths. *referring to an invited talk at IISW that made the same mistake. That's because ISP folks are talking in different language as sensor folks. Absolute noise to them does not mean anything, whether it's input refer or final image. A digital gain will slide noise figure up and down anywhere you like. The two communities should work closer. Personally I was happy to see the ISP talk in IISW this year. It's in the right direction. 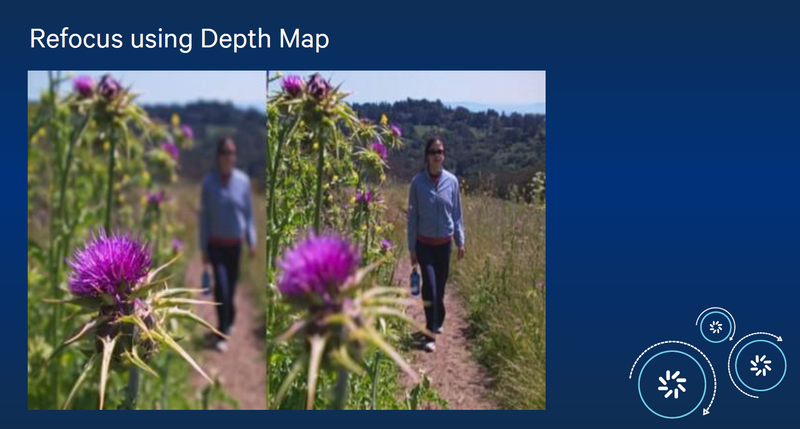 » Next generation Computer Vision and other use cases via direct-to-DSP raw bayer data streaming and pre-processing capabilities." . 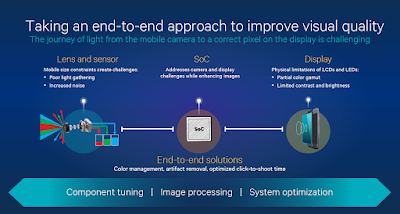 It is possible to have dual Cameras for 3D, Depth, or Fusion (or multiple Frames from one Sensor, or a single Frame; with noticeable improvements) as the SOC will be enough to do it's part (using CPU, GPU. and dual ISP). Computational Photography can 'clean up' (auto-Photoshop) your Image to produce unrealistic SNR and perfect Tone Mapping. The resulting Image may look like a Cartoon (at extreme Settings) but it can also be noise free (even if a 100% derived work / false / pseudo image). Like an 'Oil Painting' photo effect, except the SOC has enough oomph to do it real time. A huge leap forward for VR Glasses that are created by clicking your Phone into a set of Goggles. Worth waiting for the 820, we (now, in 2015) have Image Sensors and Display Screens that are good enough; just been waiting for a horse(power).